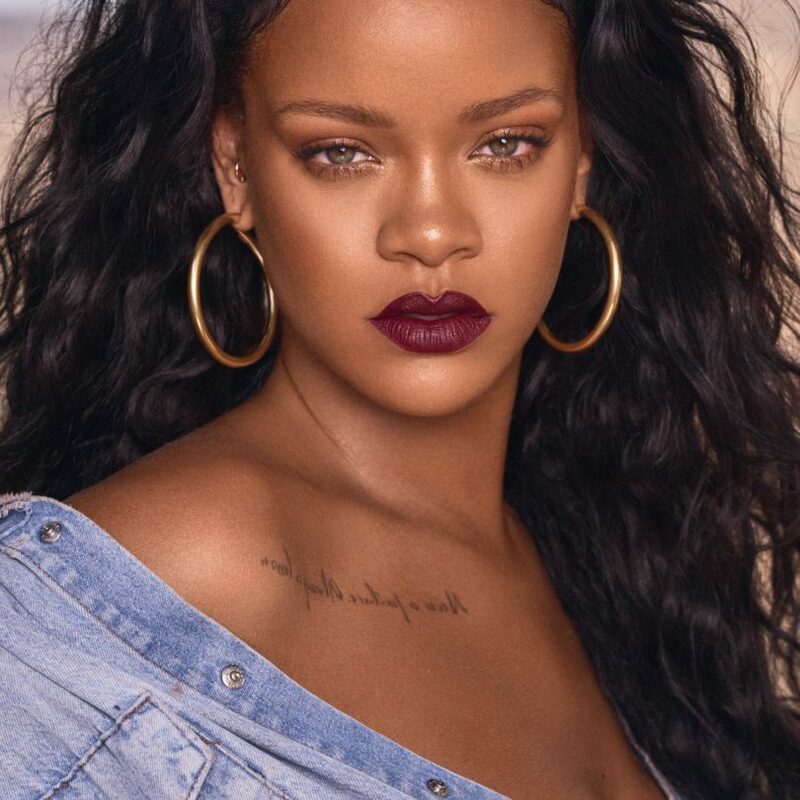 After boycott the multimedia messaging app Snapchat, the Famous Pop star Rihanna posted an Instagram Story on today 17th march to criticise, after the platform showed an insulting ad featuring the Rihanna to users. The ad was for a smartphone game named Would You Rather that appeared in Snapchat. In the last weekend, the ad was asking users if they would rather slap Rihanna or punch Chris Brown. Many on social media have called out Snapchat for making an advertisement out of a terrible incident. In a live chat on Instagram, Rihanna accused the company of making fun of the victims of domestic violence. He said, ‘The matter is not in my sense … but they have been ridiculed for all women, children and men who are victims of domestic violence, especially those who have not yet been able to overcome it. Snapchat should be ashamed. ‘ After Rihanna’s resentment, the company apologised and removed that game from her app. Following Rihanna’s appeal, the stock split in Snapchat shares in the stock market and the company suffered a loss of up to 4.7 percent. And this is not the first time when snapchat is bearing the loss in share market. Even in February, when Kelly Jenner tweeted about the design of the snapchat site, then the company lost $ 1.5 billion in the stock market. After this incident, Snapchat official person said,”The advert was reviewed and approved in error, as it violates our advertising guidelines. We immediately removed the ad last weekend, once we became aware. We are sorry that this happened. In 2009, Rihanna and Chris Brown came to the headlines. At that time Brown was accused of beating Rihanna. Brown was arrested by the police. This was the period when the two were dating each other. 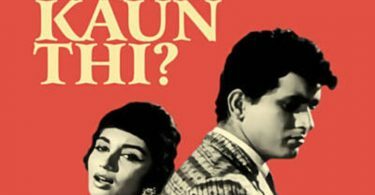 The pop star had previously revealed in an interview that his father used to torture his mother. 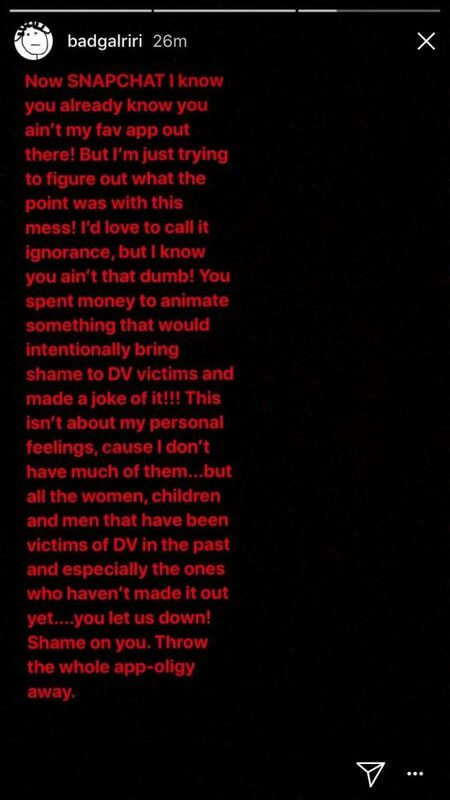 Rihanna makes it clear in her comment that she’s more concerned about other domestic violence marks being made fun of by the advertisement of her feelings being hurt. Rihanna full statement is here.